Airport Charges back on the agenda. Again. Some big name airlines have been heavily campaigning for more regulation of airport charges and as the European Commission (the EC) is working hard to finalise its forthcoming new ‘Aviation Package’ it looks increasingly likely that airport charges is going to be one of the policy issues which will be addressed by the Package, in some shape or form. Some big name airlines have been heavily campaigning for more regulation of airport charges and as the European Commission (the EC) is working hard to finalise its forthcoming new ‘Aviation Package’ it looks increasingly likely that airport charges is going to be one of the policy issues which will be addressed by the Package, in some shape or form. 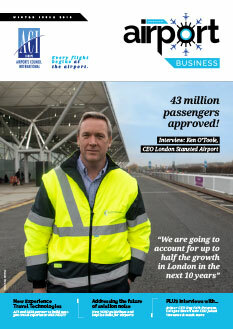 Donagh Cagney, Economics Manager at ACI EUROPE, reports. The Aviation Package is a collection of new initiatives – mainly legislative – which the EC will announce publically towards the end of the year. The details remain unconfirmed, but examples of initiatives are likely to include the regulation of drones, the further liberalisation of the aviation market with new third party countries, and so on. This will also be accompanied by a strategy document, which will lay out a plan for the aviation sector for the remaining 4 years of the current EC’s mandate, and this is probably where airport charges is most likely to feature. To those who follow the topic closely, it may at first seem surprising that airport charges should be back on the agenda at all. The implementation of the current European legislation – the Airport Charges Directive – was the subject of a detailed report and communication by the Commission, published as recently as May of last year. Indeed, the Commission concluded that it was ‘too early to draw definitive conclusions on the impact of the Directive due to its recent entry into force’ (The Directive had to be implemented by 2011). In addition a forum on national airport regulators, known as the Thessaloniki Forum, was set up at the same time to help strengthen the application of the current Directive across the Union. Since then however, the airlines have been very active at a political level, most prominently in June of this year, when the CEOs of the 5 major airlines – Air France-KLM, British Airways, easyJet, Lufthansa and Ryanair – held a joint conference in Brussels to lobby on a select few areas of European aviation policy, with airport charges front and foremost. This was accompanied by the announcement that a new consolidated airline lobby group would be formed in Brussels. On charges, the chief demand of this new grouping is that the ‘single till’ approach towards calculating airport charges be imposed upon airports at a European level. This would mechanically transfer to the airlines all the profits that the airports generate from their commercial activities such as retail, car parking and advertising. In parallel, individual airlines and associations have also been campaigning on both a European and national level, and have their own additional demands, such as the abolition of specific charges for transfer passengers or the extension of the Directive to airports with less than 5 million passengers per annum, for example. The subject of airport charges has always been a divisive one. 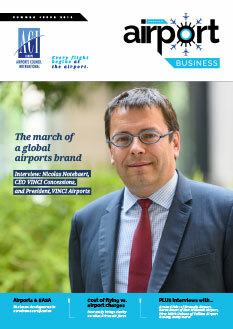 In recent years ACI EUROPE has tried to take a progressive position, focusing on moving forward the debate and finding more sustainable and cooperative ways of working between airports and airlines. Much of this work has focused on the role of airport competition, and how regulation could best operate in this evolving environment. A core ACI EUROPE position is that market power tests of individual airports should be performed, to better understand the relative negotiating power of an airport vis-à-vis its airline clients. Regulation should only be imposed where it is found that competition is not effective. And regulation should be proportionate to the degree of market power of the airport. This is a balanced, reasonable approach. And it is common sense. Why prescribe a medicine before diagnosing the illness, or before even establishing that there is an illness in the first place? The subject of airport charges has always been a divisive one. 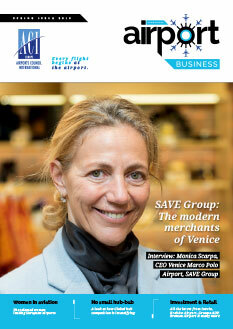 In recent years ACI EUROPE has tried to take a progressive position, focusing on moving forward the debate and finding more sustainable and cooperative ways of working between airports and airlines. Of course this approach won’t resolve all the differences between airports and airlines, but it will offer an objective and neutral means of driving the debate forward, instead of the endless cycle of recrimination and subsequent uneasy peace that seems to engulf the sector periodically. And recent history has shown that when such tests demonstrate that an airport is subject to sufficient competitive pressures, airlines have proven themselves to be very quick to adapt to the new reality, putting aside politics and signing up to commercial contracts with the airport, which itself offers additional benefits to passengers and the industry. Sadly, despite some initial lip service in favour of this approach in principle, airlines have since strongly retrenched. There may still be a stated support of airport market power tests, but if so it is coupled with a carefully honed absence of curiosity as to what those tests might actually reveal. When the 5 main airline CEOs made their joint press release back in June, none of their statements nor the supporting press releases referenced airport competition, or indeed market power tests. Instead ‘airport monopoly’ was the soundbite of choice. It is being parroted ad nauseam, and it is being deliberately used to smother any chance of an informed debate. The airline’s positioning on the nature of the regulatory till is a case in point. This debate has been in existence for over a quarter of a century. The arguments for and against the merits of the single and dual till are a mix of practical and philosophical, and are entirely predictable, having not changed substantially in the intervening years. The debate has a single zero sum question at its heart – ‘who gets the money?’ It is tired, inherently divisive, and its primary achievement has been to help the careers of airport and airline policy staff, regulators and consultants. Meanwhile, more fundamental policy challenges are left by the wayside. If the regulatory till debate comes up again, ACI EUROPE will dust off and put into use the usual arguments in favour of the dual till and against the single till. But we really hope that we won’t have to. Airline arguments about airport charges are also being skilfully blended with long-standing statements about the losses which some sections of the airline industry incur. Best encapsulated in ‘Value Chain’ treatise, this philosophical approach suggests that airline losses be compensated with airport profits. This perspective gently skips over the question as to whether it really is sound policy to take profits from successful (and often publically-owned) companies to prop up (often privately-owned) failing companies. It instead proposes a never-ending bail-out of loss making companies without ever fixing the underlying problem. It also nicely sidesteps the awkward question as to whether this is really fair on the travelling public. Thankfully, this philosophy is increasingly being confronted by the unavoidable reality that some airlines are consistently able to make significant profits. These airlines have become the darlings of the stock market, despite having come from nothing and all while having faced the exact same policy and commercial environment as their loss-making counterparts. It demonstrates quite unambiguously that airport charges have nothing to do with the chronic unprofitability of some airline companies. It’s nice to be right, but in politics that is rarely enough, and so ACI EUROPE has not been standing by idly in response to this airline activity. 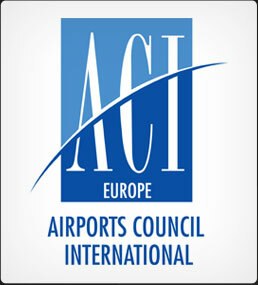 On top of ACI EUROPE’s existing work on the subject, there has been a briefing note on the regulatory till, a response to easyJet’s report, multiple meetings with European Commission officials and political figures, and letters to the Commission from individual airport operators, all aimed at helping decision makers get past the seductive but empty ‘airport monopoly’ and ‘value chain’ soundbites, and to instead actively think about the substance of the arguments being made. This work will continue right up to the publication of the Aviation Package, and if needed, beyond. 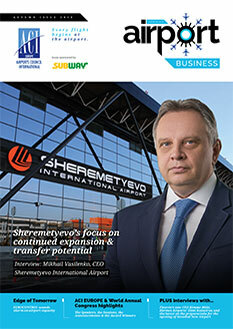 If your airport has its own views and experiences on this subject, please don’t hesitate to contact ACI EUROPE. 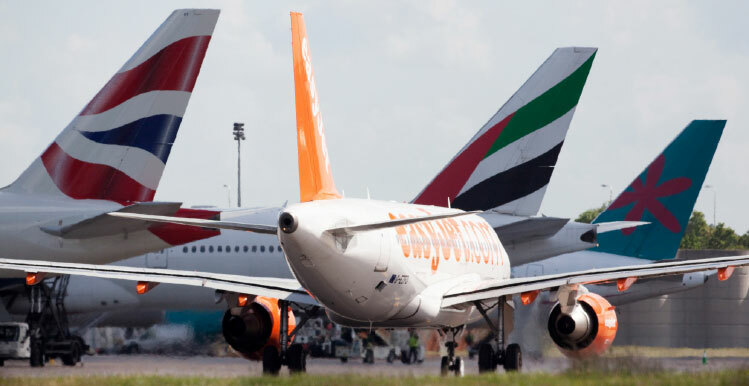 ACI EUROPE response to the easyJet & Frontier Economics on the Supposed Economic Benefits of Lower Charges at 15 European Airports: http://bit.ly/1LhFVgw.